Why Do People Want to Save the Rainforest? Rainforests contain an estimated 80 percent of the planet's green plant life. However, they only represent 2 percent of the Earth's surface. Human cultivation, pollution and wildfires contribute greatly to the loss of our rainforests. Only by becoming aware of the issue, and taking steps to remedy it, can we stop the plants from becoming extinct. There are 15 types of Durian trees. According to blueplantbiomes.org, the D. testudinarum is not only rare, but is also on the list of endangered species (see Resources). Mangrove forests grow stilt-like, and are found where the rainforest meets the ocean. These trees are endangered due to being susceptible to pollutants and oil spills from the ocean. There are over 25,000 types of orchids. Due to their rare beauty and orchid smuggling, many are on the endangered species list. 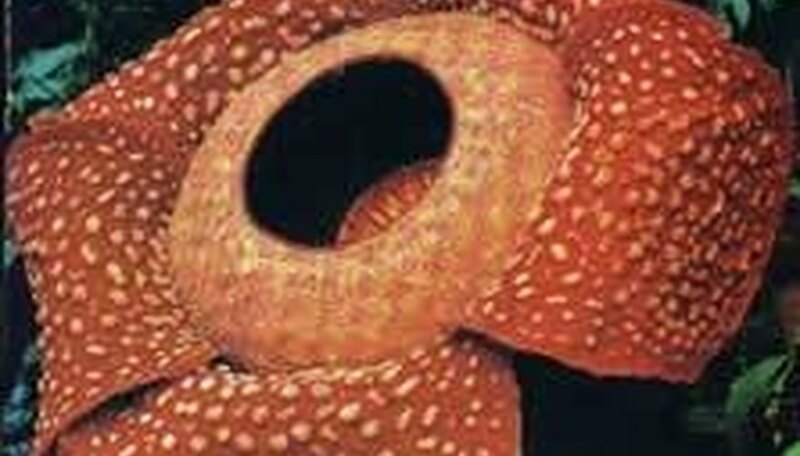 The rafflesia is one of the rarest flowers in the world, and is also an endangered plant. The rafflesia weighs approximately 6 lbs. The Queen's Island government states that approximately 13 percent of their rainforest plants are endangered. One of these, the Triumnia robusta, was thought to be extinct, but has since been found in two other rainforests. The plant is listed as rare and endangered (see Resources). The Calamus aruensis is a climbing plant that grows in the rainforests of Australia. It is not only endangered, but is listed as rare. Williams, J.. "Types of Endangered Rainforest Plants." 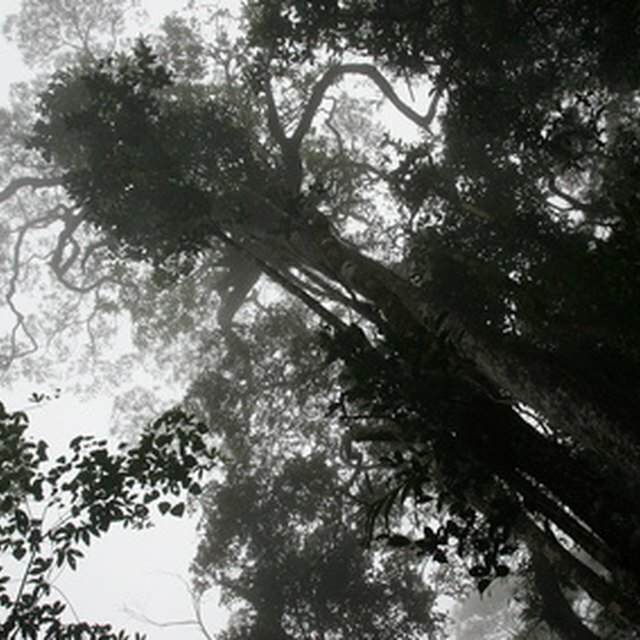 Sciencing, https://sciencing.com/types-endangered-rainforest-plants-4964172.html. 24 April 2017.